Experience 1897 living at its finest with off the grid solar power and modern conveniences. 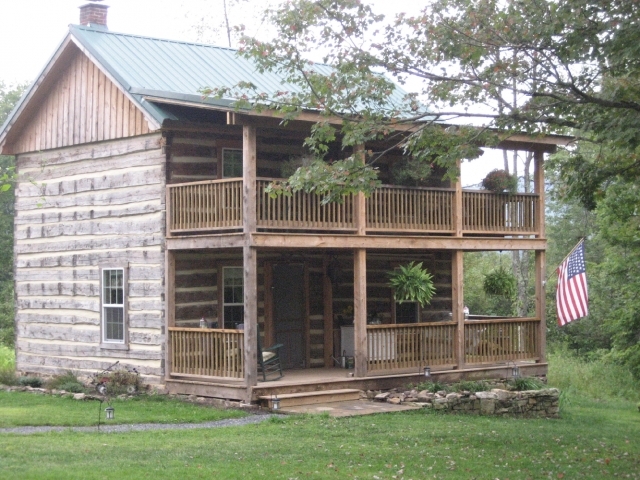 The Farm House provides a relaxing respite to enjoy the porches and rocking chairs while reading a book or visiting with friends. Remember this is a step back in time...there is no air conditioning, however there is a gas fireplace that keeps it warm and toasty on those chilly nights and days. SORRY, NO HAIR DRYERS, CURLING IRONS ETC. Accommodations include a master bedroom with full size bed and a double bedroom with two full size beds. There is also a twin size bed in the living room which provides extra sleeping accommodations and seating. Up to date modern kitchen with all cookware, dishware and utensils are provided.